Tesla is hosting a free concert on Friday at its Fremont, California factory for workers, according to an internal email viewed by Business Insider. Jack White contacted Tesla and asked if he could preform a free show for workers, his spokesperson told Business Insider. Tesla aggressively ramped up Model 3 production at the Fremont factory earlier this year, building a giant tent outside the factory so the company could reach its 5,000-cars-per-week goal. The concert comes at a time that Tesla and CEO Elon Musk are under scrutiny, after Musk tweeted that funding was secured to take the company private earlier in August. Tesla is hosting a concert for workers at its Fremont, California factory, according to an internal email viewed by Business Insider. The company later sent out another email viewed by Business Insider saying that the performer would be Jack White, a singer and songwriter best known for his work as the lead singer and guitarist of The White Stripes. A spokesperson for White told Business Insider that the performance was his idea, with White asking Tesla if he could preform a free show for workers. Musk and White have apparently met before, with White’s record label Third Man Records posting a photo of the pair together on Instagram in 2016. The caption reads in part: “‘He is the Henry Ford of the 21st century.’ – Jack White III”. Workers will need their Tesla badges to gain entry, and no video or photography will be allowed at the event. Three Tesla workers additionally told Business Insider that workers assembling Model 3 sedans on the GA3 line, in the Fremont factory, had been sent home early from multiple shifts over the past week.According to one Tesla employee, workers were sent home despite the shifts falling short of their goals. The free concert comes at a time when Tesla has been facing public scrutiny. In an interview with The New York Times published on Thursday evening, CEO and founder Elon Musk said that the past year has been “the most difficult and painful year” of his career. 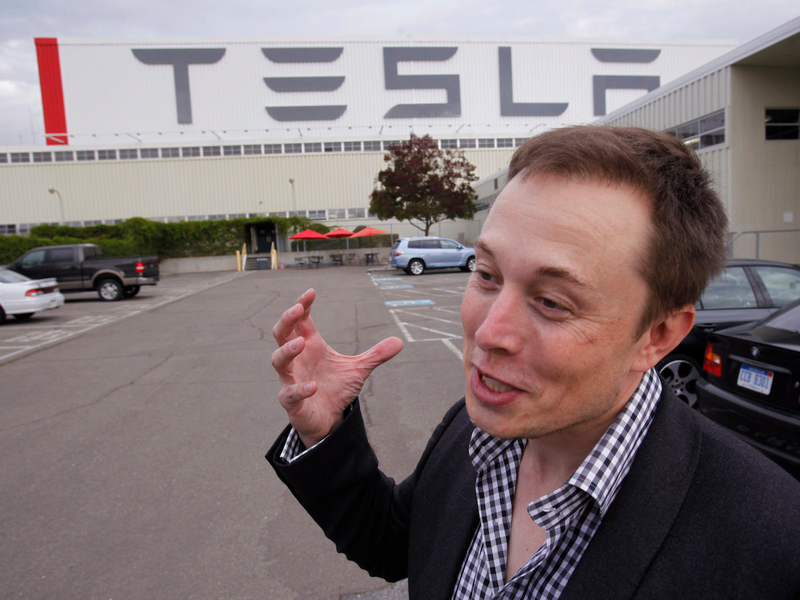 Musk told The Times he has been dealing with a grueling work schedule. Earlier this year, Musk led Tesla in beginning the drive to ramp up production of the Model 3, the company’s first mass-market electric car, which is assembled at the Fremont factory. While Musk celebrated the Fremont factory hitting the milestone of assembling 5,000 Model 3 cars per week in early July, one worker told Business Insider that the company has struggled to meet the benchmark throughout the summer. In the last three weeks, he said, the Fremont factory has only produced 5,000 Model 3 sedans in a week roughly three or four times. Tesla’s most recent headache kicked off on August 7, when Musk tweeted funding was secured to take the company private. The tweet prompted questions regarding the ethics and legality of the announcement, with the Wall Street Journal reporting on Thursday that Securities and Exchange Commission is investigating Musk’s motivations.